I’ve said this before and I’ll say it again. I love my job! 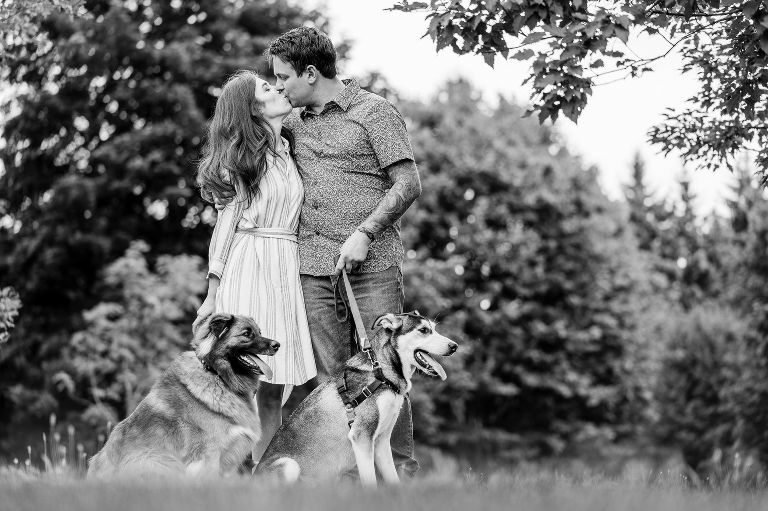 Heather + Jake were such a fun couple and one of the many things we have in common is our love for our fur babies. 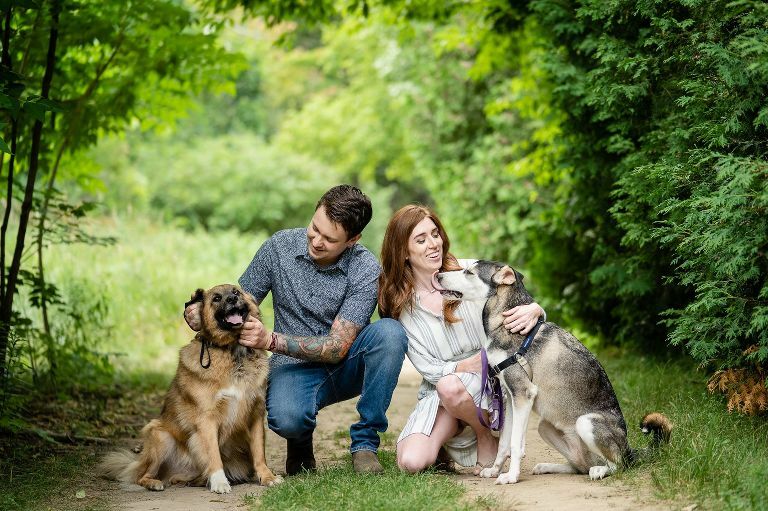 They brought both their dogs to their engagement session and I couldn’t be happier. It’s so sweet to have their four legged family members be a part of this beautiful time in their lives. I just can’t wait until their wedding, but for now, here are some selects from their lovely engagement session.